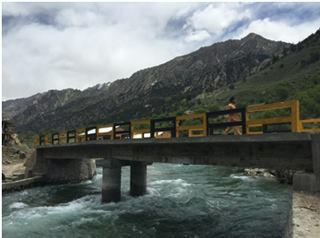 NURISTAN, Feb. 8 – Mujahideen of the Islamic Emirate constructed an important bridge joining some areas in Want Waygal district of the province. Mujahideen have launched a series of projects for public welfare since they gained control of this district three months ago. Meantime, Mujahideen have carpeted and repaired roads, a constructed number of the bridges in different parts of this district.